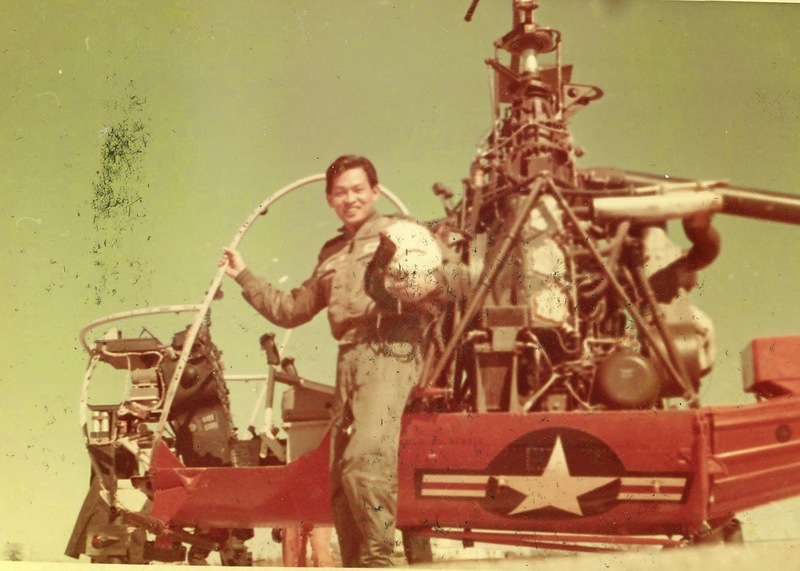 Jottings of Xnuripilot: The Flying "Pongos"
Readers....Malaysian government signed a contract with Sikorsky Aircraft Corporation for the procurement of 10 Nuris in 1967. The first batch of 3 Nuris arrived at Port Swettenham in January 1968. 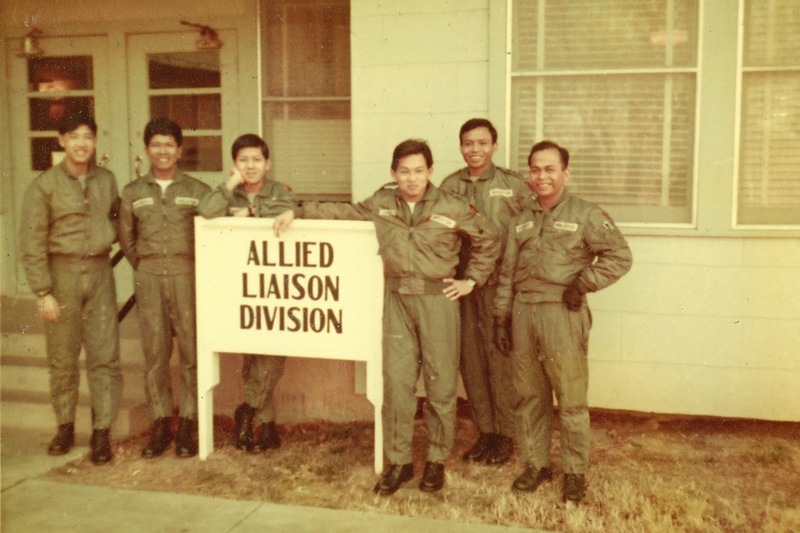 During this period, the RMAF was expanding by leaps and bounds. New flying assets were either procured or given FOC. As a result, the Flying Training School, RMAF Alor Setar, was unable to churn out enough pilots to man those wonderful flying machines. One of the ways to overcome this manpower shortage was to invite army officers to join the air force as helicopter pilots. The successful candidates were sent to Uncle Sam for training. Throughout the period 1967-1969, 7 army officers answered the challenge and were sent to Fort Walters and later to Fort Rucker. 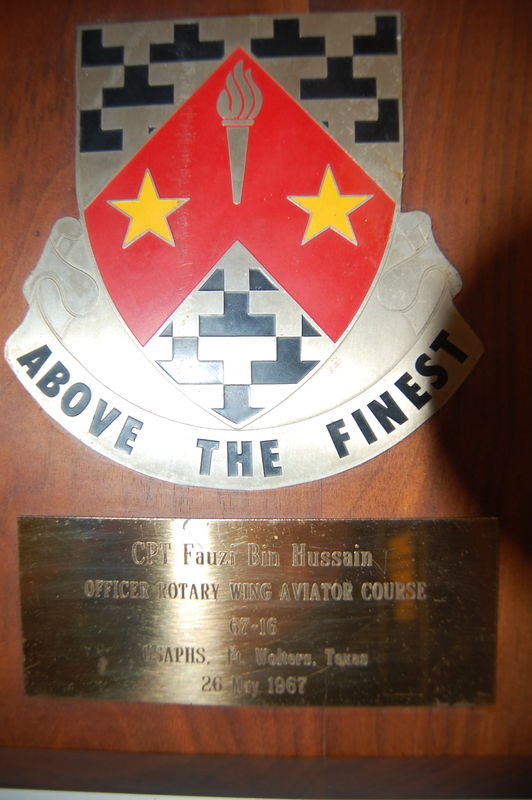 Capt Fauzi Hussain was one of them (retired Maj Gen Dato' - Deputy Air Force Chief). I'm very fortunate that Dato' Fauzi was willing to share his experiences during his flying training days. During the year of 1965 and 1966, the Government conducted very intensive ground operations against the Communists Terrorists along the Thai-Malaysian border. 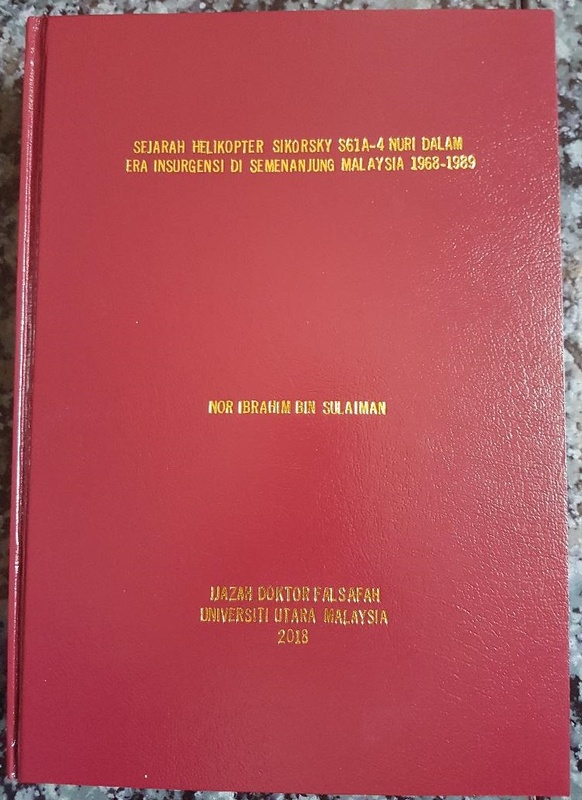 Because of this, the RMAF was hard pressed to support the Army units in carrying out their ground operations as there was not enough aircraft /helicopters and pilots. To cater for this shortfall, government ordered a squadron of new S 61 Nuri helicopters (18 aircrafts) from the US. As for the pilot, the RMAF decided to recruit them from the teeth arm of the army (infantry, arty, engineers, Rangers) to be sent to the USA for helicopter training. Many officers from the army volunteered. The criteria for selection was that the officers must be of Captain rank, have passed their Lt to Captain promotion examination and medically fit. They have to undergo the air aptitude test and medical examination. Those who passed were sent to United States Army Helicopter Training School, Ft Wolters, Texas for basic helicopter training. This first phase of training lasted for 5 months. 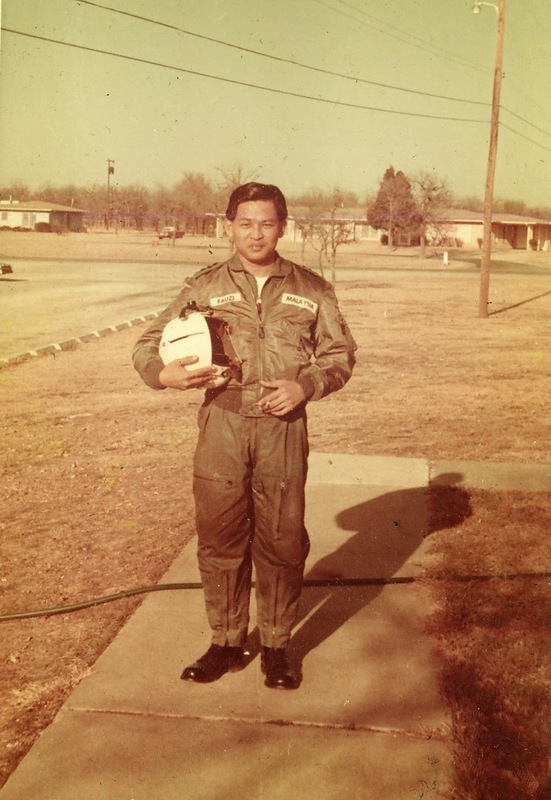 After passing my medical and aptitude test conducted by the RMAF, on 1st Jan 1967, I went to the US Army Aviation Flying Training School in Fort Wolters for my basic training and Ft Rucker for my tactical flying phase. When I went for the helicopters training I was already a Captain with 4 years seniority in the rank, I was only made a squadron leader on 21st Sept 1970; after been a captain for more than 7 years. I was forgotten by the army because I was serving with the air force and I was not planned for promotion by the air force because I was from the army. I was in the third batch to be sent for the training. Before me were Capt Mahmood Zain (died in a helicopter accident at Bintulu, Sarawak) and Capt Ahmad Azizah Zain, both from the Royal Malay Regiment. The 2nd batch consisted of RMAF officers, Flying Officer Steven Ngiau and Flying Officer Peter Wong. These two officers were already qualified pilots on fixed wing and were sent to be US to be converted to helicopter flying. 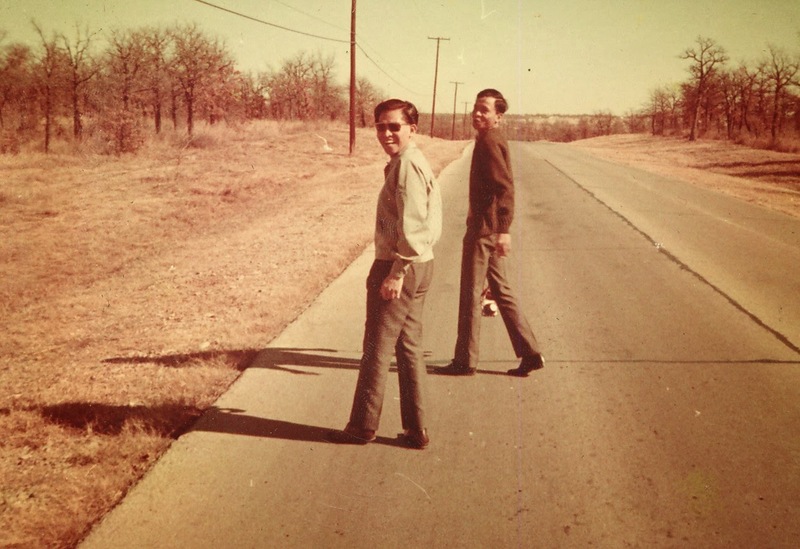 My batch consisted of Captain Hanafi Mahmood and me. Flying discipline was strict during this time. In the 1960s, the Vietnam War was at its height and a lot of casualties were suffered by the US ground troops especially the infantry (the grunts), the helicopters and their pilots. Every month about 200 pilots passed out from this school to go to the advance tactical flying phase at Ft Rucker, Alabama. Must thank MG Dato' Fawzi for sharing his story and photos ... I bet he had a great time during his heli flying training days ! Thank you for this info.Only now I know Dato Fauzi was from the Army.If I am not mistaken Arwah Dato Mohad Taib was from the Army too.CVan you please list out those from Army rose to the ranks in Air Force. Good and valuable articles sir..
Pesawat nuri batch pertama bernilai usd 786,000 sahaja. Second batch bernilai usd 2.6 million. Last received in 1977 usd 2.5 million. Kenapa harga pesawat berbeza2? Adakah pesawat ini dibeli berlainan jenis dan tugas? Mohon pencerahan dari tuan. Mohon maaf jika soalan saya merapu. I'm grateful that Dato' was willing to share his experiences for posterity. You're right in saying that arwah Lt Gen Dato' Mohamad bin Taib, xPTU, was an xArmy officer. So was his successor, Lt Gen Tan Sri Mohamad bin Ngah Said. The others who made it to general were Brig Gen Dato Hussain Supian, Brig Gen Dato Abdul Rahim, Maj Gen Dato Razak Aziz, Brig Gen Dato Ibrahim Hashim TUDM. Maybe readers could assist those that I missed, wallahualam. Terima kasih. Jujur saya katakan, inilah kali pertama saya mengetahui harga satu2 pesawat. Harga sejumlah 15 buah ada diberitahu tapi bukan harga individu. Justeru, maaf saya tidak dapat mencerahkan kemusykilan anda. Saya harap anda boleh menghubungi saya kerana saya perlukan maklumat tersebut. 019-4744849/nibsny@yahoo.com. Terima kasih.